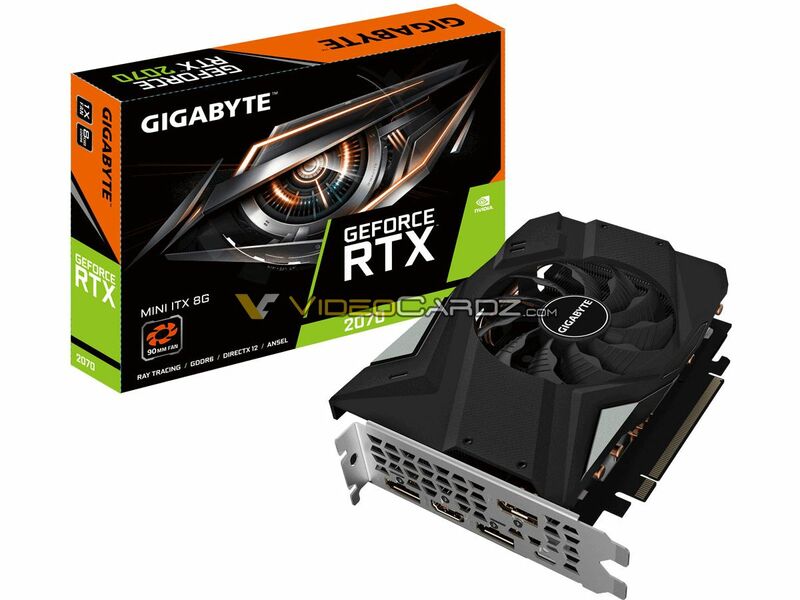 Gigabyte is set to announce a MINI ITX version of GeForce RTX 2070 graphics card. The Mini ITX from Gigabyte will be a second RTX card in this form factor. 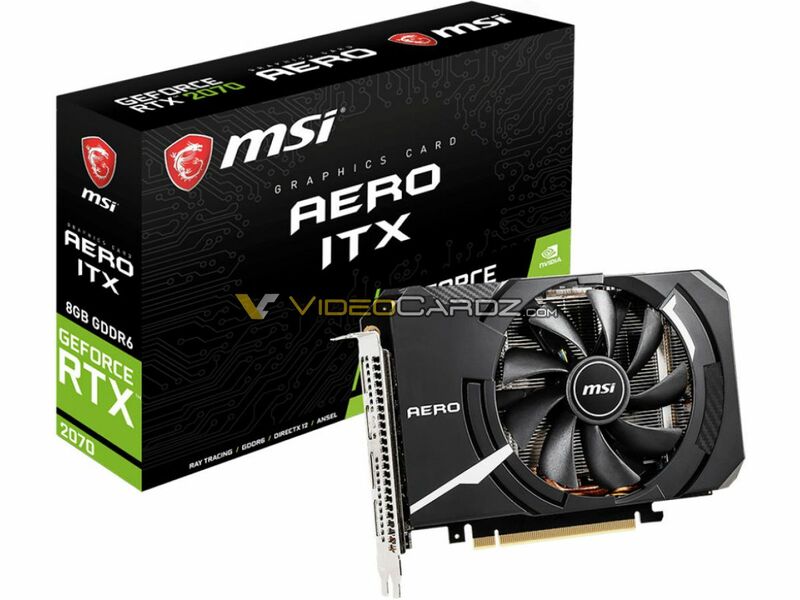 A picture of MSI’s AERO ITX was already published two weeks ago. However, neither of the two cards is currently available. The card from Gigabyte will utilize Turing TU106 GPU with 2304 CUDA cores and it will be paired with 8GB of GDDR6 memory. This model will not be overclocked and it will feature standard clocks of 1410/1620 MHz (base and boost respectively) — so likely a non-A GPU variant. Despite the small size, it still features five display connectors: three DisplayPort 1.4, one HDMI 2.0b and the VirtualLink, which is missing on MSI card.